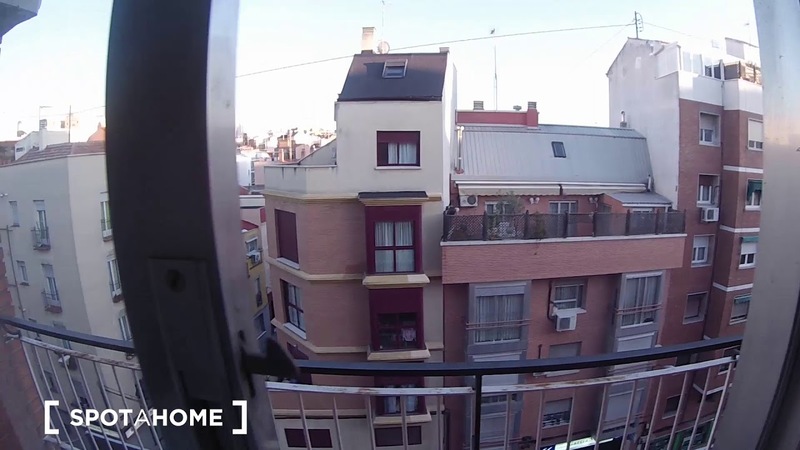 There are rooms for rent in this spacious 5-bedroom apartment located on Calle de Jerónima Llorente in Tetuán. The shared spaces in the 120 m² apartment include a fully-equipped kitchen and 2 separate bathrooms. Tetuán is perfect for those who want to be away from the masses, but still benefit from the conveniences of the city. The Francos Rodríguez Metro station is a short walk away, and in immediate proximity are a number of restaurants and amenities. The apartment is close to the Francos Rodríguez Metro station and nearby amenities. The apartment has A/C to keep you comfortable over the summer months. The bathrooms have all of the necessities. The apartment is decorated neutrally throughout. The washing machine will be shared between all of the tenants. There is no dishwasher in the kitchen. The Francos Rodríguez Metro station is a 7-minute walk away and serves the number 7 line.